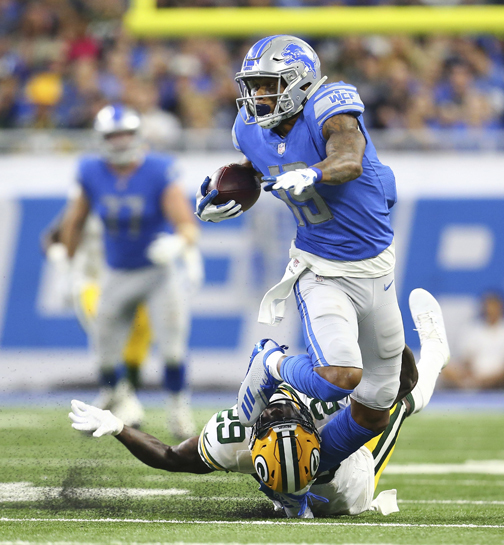 DETROIT — The Detroit Lions took advantage of some mistakes they forced Green Bay to make and were fortunate some breaks simply went their way. Crosby missed a career-high four field goals in one game and failed to make an extra point to boot. He connected on a field goal with 2 seconds left, but that wasn’t of much consolation after his poor performance. “I look back and I’m thinking, in my childhood, in high school, this is definitely one of the worst ones,” said Crosby, the first NFL kicker to miss four field goals in a game since 2010. Patricia, though, didn’t think the Lions’ cushion was comfortable. “Unfortunately, I’ve seen that quarterback on the other side there crush a lot of leads pretty quickly and come back,” said Patricia, a former Patriots defensive coordinator.